Do you remember those beautiful Liberty fabrics I featured on the blog here recently? 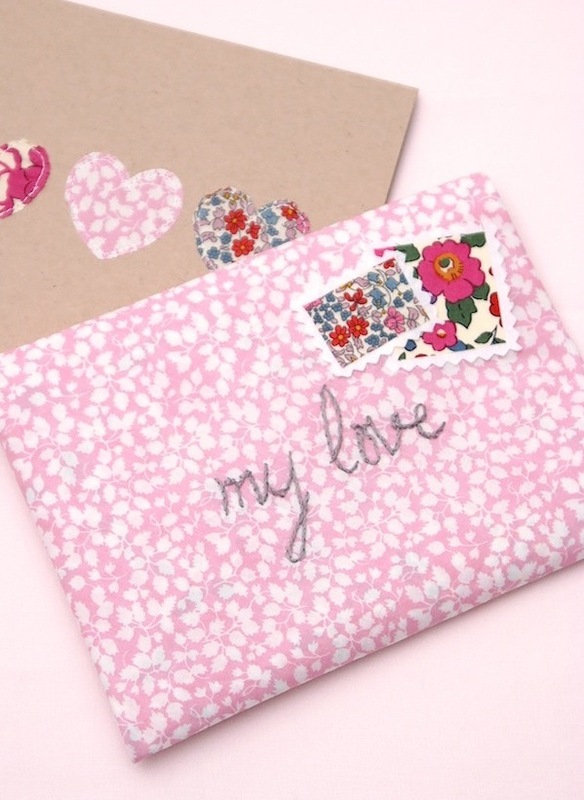 Well, they have now been turned into a super sweet Valentines card and envelope which you can all make too. I have a little tutorial and Q&A over on the Liberty Craft Blog, so if you've ever wanted to find out why I have the blog name 'Messy Jesse', or how I run my Sew and Quilt shop along with having a day job and being a blogger (spoiler alert; I have no social life!) or what I have planned for the coming year? Head on over and take a read. Love the interview! And the envelope is so sweet. Happy weekend! Awww such a sweet envelope, I love the patterns on it. so love it. My best Valentines day wishes to all!